Craig and Band on NPR’s Small Studio! Craig and the band visited WFYI’s studios in Indianapolis recently to record a few songs and do an interview with Eric Weddle. The Preview track (one song to promote the session) went live on YouTube and WFYI’s Facebook account on Tuesday, November 27th. The full session and interview will be live on Tuesday, December 4th. A radio feature on the session and interview will air four times on Tuesday, December 4th to promote the session during local (WFYI 90.1FM Indianapolis, Indiana) broadcasts of Morning Edition and All Things Considered. The air times are 0645, 0845, 1644 and 1744 EST. The radio feature averages about 4 – 5 minutes. 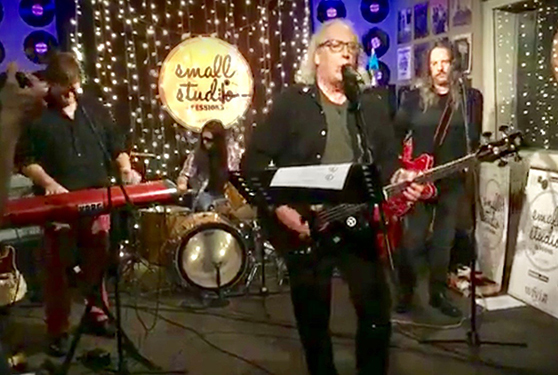 The full session will be live at https://www.wfyi.org/smallstudio as well as WFYI’s YouTube, PBS Cove, and all streaming platforms (iTunes, Stitcher Radio, NPR One). The first full-length vinyl LP of Saucers material on Rerun Records out of St. Louis, MO, is here!! 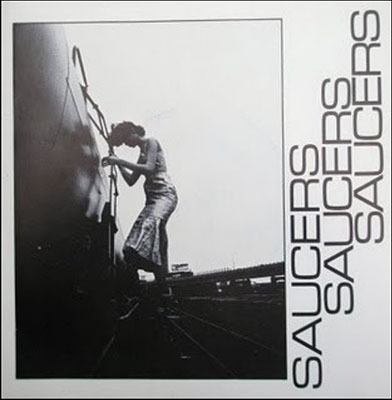 Third Saucer from The Sun features recordings from Saucers’ heyday 1978–1980; some of these were previously released on the What We Did (GTA053) CD in 2002. 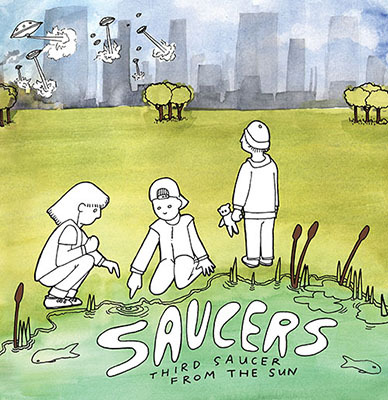 It also includes material discovered after that release and a song from Second Saucer, an EP released as a Gustav Records CD in 2011. 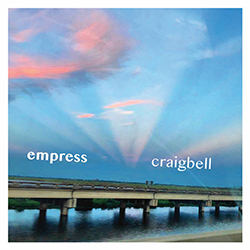 It features members Craig Bell (Mirrors, Rocket From The Tombs), Mark Mulcahy (Miracle Legion), Seth Tiven (Dumptruck), Katherine Cormack, Malcolm Marsden, & Malcolm Doak. The cover is a watercolor/ink mural by our friend S.Jane Mills. You can find more of Jane’s work at www.sjanemills.com. Available from Rerun Records, P.O. Box 22472, St. Louis, MO, 63126-0472; http://www.rerunrecordsstl.com/ or https://midheaven.com/. We have original 1979 Saucers singles “What We Do/I Didn’t Get It/Muckraker” available for sale at our appearances with either Craig Bell & Band or X_____X. These records come with the original picture sleeve and have been stored in a closet in New Haven, CT since 1980. 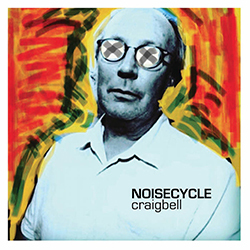 I have added some electronic/experimental pieces recorded down in BelGrotto (as craigbell) over the past couple of years, as well as a complete set by Saucers from Ron’s Place in 1980 and all the various Rhythm Methodists recordings to date. 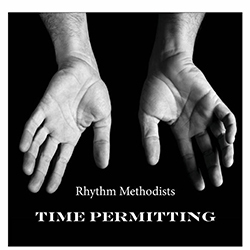 Thanks to Tyler Watkins at Postal Recording for the great mastering job on the Rhythm Methodists collection Time Permitting (1988-2017) featuring Kerry J. Miller, Claude Bell, Joe Guidone, Phil Kitchel, Holly Butler, Nevard Tellalian, Malcolm W. Doak, (and yours truly) with able assistance along the way by Ron Sutfin, Dave Norman, Mark Cutzinger, and Noah Butler.